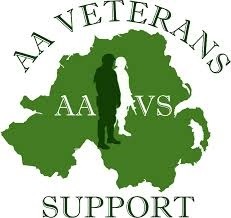 AA Veterans Support is a Northern Ireland based charity set up to provide help and support for Veterans and their families throughout Northern Ireland. It is our aim to provide the necessary support services for those Veterans or their family members that may need our help. We believe that our Forces and their families deserve our lifelong support, we aim to provide Practical, Training, Emotional and Financial support to anyone who is serving or has ever served and their families. Whenever they may need us, we’ll do whatever we can to help. Our vow is that no matter the size of the problem we will provide help, advice and assistance in overcoming it.